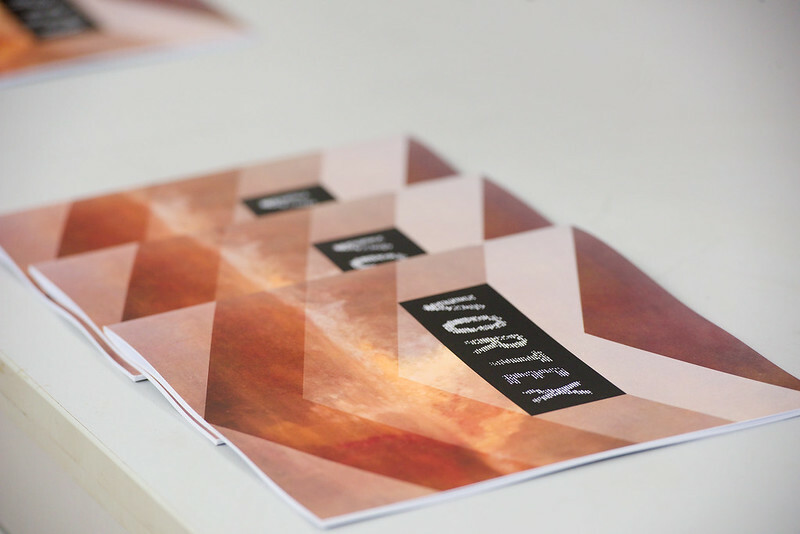 Staff, students and the wider local community came out in force to celebrate the achievements of final year students on the BA (Hons) Fine Art Painting, BA (Hons) Graphic Design and BA (Hons) Photography degree at the private view for the annual end of year show, Vortex, held on 15th May 2018. Transforming the third floor of the historic SmithKline Beechams building into one of St Helens’ largest galleries, work on display was an eclectic mix of photography, painting and designs created using the latest graphics software. An annual event, highly regarded in the St Helens’ art exhibition calendar, a highlight of this year’s event was the newly introduced Mayor’s choice award, which saw The Mayor of St Helens, Councillor Joe Pearson, on his final engagement as Mayor, select an overall winning piece from the show. Commending the overall high quality of work on show, after much deliberation, The Mayor decided that the award should go to final year BA (Hons) Graphic Design student, Alasdair McKenna, creator of the official artwork for the show. Alasdair will not only enjoy the title but will also receive a one week, solo exhibition, in the ever popular Heart of Glass. The exhibition is now open, each weekday between 10.00am and 4.00pm to the general public, as well as school and college students and will run until 21st June 2018. A fantastic opportunity for aspiring creatives to view higher level work, University Centre St Helens’ school liaison team happily welcome school and college group visits. Contact the team on 01744 623225 for more information. For those considering a degree in the Creative Arts, we still have places available on all of our degree courses, due to start in September 2018. Visit our dedicated Creative Arts section here. Visit our final Open Day of the year, 20th June 2018, 5.00pm – 7.00pm, St Helens Town Centre Campus library, WA10 1PP. Whether you are considering joining us in September 2018 or September 2019, Open Days are an excellent opportunity to discover the many degrees on offer, meet the lecturing teams, tour the facilities and find out more about any financial support that may be available to you.